A Great Start – first impressions among new hires are critical to building a successful foundation and employee morale. Increased Employee Retention – according to a study conducted by The Wynhurst Group, employees who go through a structured onboarding program are 58% more likely to stay with the company for 3 years or more. Faster Time to Productivity – introductory training can positively affect employees’ performance during the first several months and even years. 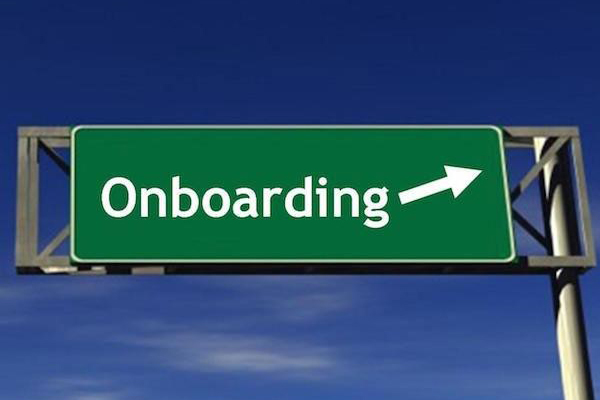 Given the benefits of an effective onboarding process, below are five tips you can implement to ensure that your process drives greater success for your new hires and business. Even as a small business, it’s important to clearly define your onboarding process so each new employee has a smooth transition into the organization. Utilizing an Applicant Tracking System (ATS) can make hiring easier and provide a seamless transition to onboarding new hires. Systems like HiringThing offer tools such as onboarding documents, which allow you to send new hire forms digitally. It’s an easier way to get started and save time. The workload for most employees within a small business is often significant due to resource constraints and diversity of responsibilities. Don’t overwhelm your new hires by feeding them too much information at once. Start slowly to give them a chance to warm up to the environment, and allow time for breaks and questions. A formal training program can help ease new hire integration. Although the word “program” suggests a big undertaking, it can be as simple as requiring each new hire to shadow employees in business functions so they have a clear understanding of the company before diving into the day-to-day. Enlisting each team member’s help with onboarding and training also helps build relationships and cross-functional teams. Your onboarding process steps should be organized and provide the same level of information, training, and direction to each new hire. A set of clear guidelines and expectations helps establish success and creates high team morale. As you bring more new hires on board, keep your process as consistent as possible. Consistency can help you establish a good training rhythm, make small adjustments over time, and anticipate new employees’ needs. In addition, ask for employee feedback. This is a great way to measure what’s working well and where adjustments should be made. Following these five steps can lead to an easier and more effective onboarding process, which can reduce turnover, keep your employees productive, and increase their overall job satisfaction. HiringThing offers a powerful platform for managing your overall hiring process, including onboarding and a full integration with Wonscore from Wonderlic. To learn more and start your 14-day Free Trial, click here.